Important Information: This guide is not personal advice. If you are unsure of the suitability of an investment for your circumstances seek advice. Please remember that the value of investments, and any income from them, can fall as well as rise so you could get back less than you invest. Tax rules can change and the value of any benefits depends on individual circumstances. For newcomers to investing, the world of shares and the buzz of the stock market, can all seem a bit daunting. But the stock market has the potential to offer a real return on your investment, rarely seen with cash savings. Unlike cash investments, however, shares can fall as well as rise in value so investors could make a loss. Our simple guide to the stock market is designed to help first-time investors get started share dealing – and feel confident in their investment decisions. 2. What is the stock market? You may also hear the terms ‘stocks’ or ‘equities’, though here in the UK, ‘shares’ is the most common term. A share represents part-ownership of a company. When you own a share in a Public Limited Company (PLC), you literally have a ‘share’ of the business. A share is a portion of a company that an investor can buy. Shares have monetary value, which means that they can be bought and sold. When you buy a share in a company, you become a shareholder. It used to be the case that you were given a certificate as physical proof of ownership of any shares. That isn’t necessary anymore, and shares can be held electronically. Our service allows you to view and manage your account online in a manner not dissimilar to internet banking. Being a shareholder gives you certain rights and benefits; for example the right to vote on company matters at the Annual General Meeting and the potential benefit of receiving dividend payments. A dividend is a payment by the company to shareholders, and usually represents a share of the profits. Companies do not have to pay a dividend, although many do. Successful companies can raise their dividend payments over time, as profits increase. There are no guarantees though, and always remember that both dividends and the value of shares can fall as well as rise. As the name suggests, the stock market is a marketplace for the trading of stocks or shares. There are many stock markets around the world, and the UK’s main exchange is The London Stock Exchange (LSE). You might conjure up an image of lots of people shouting at each other and waving pieces of paper on a packed trading floor, but today the stock market is far more sedate, as many processes are now automated. To form a market index, company shares are grouped together, and their value is combined as a weighted average (the bigger the company the larger its effect on the value of the index) resulting in a figure. Generally, companies of similar size and value are grouped together. Often you hear the market being up or down. This relates to stock market indices rising and falling. An index of the 100 biggest companies in the UK. Many of these companies are multi-national and have international interests. An index representing the next 250 largest UK companies. Since these companies are smaller than those in the FTSE 100, this index usually better reflects the fortunes of the UK’s economy. An index of shares listed on the LSE’s main market. It includes all shares in the FTSE 100, FTSE 250 and FTSE Small-Cap indices. Dependent on what industry or company size an index represents, a market index value gives a good indication of movement within markets. Thus, it is a particularly useful tool for investors and economists alike to describe the market, and to compare the value of similar shares or their own particular investments against. The simple answer is to make money. There are two ways this can happen. If the value of the share itself rises, you might be able to sell the shares for a profit. Alternatively, you can keep holding the shares, and if the company continues to be successful the value of your shares could rise. If a company you hold shares in pays dividends, you’ll receive dividend payments. If a company is successful and manages to grow profits over time, the amount it pays out as a dividend can increase. Investing in dividend paying companies can in fact be deceptively simple and surprisingly powerful. Since there is no obligation for companies to pay a dividend at all, you should always remember that dividends can go down as well as up, and there is no guarantee a company will increase its dividend, even if it is doing well. Similarly, even if a company is successful, and is growing profits each year, its share price could still go down as well as up. It is therefore important to stress that investing in shares carries risk – you might get back less than you invest. A glance at the graph below, which shows the total value of all the shares on the London Stock Exchange’s Main Market over the 30 years from October 1987 to October 2017, shows how much shares have gone up and down in the past. Further, the graph shows that over the long term investing in shares has produced a much better return for investors than saving cash in an instant access savings account. Please remember, however, that cash accounts will of course offer a greater level of security, and that past performance is not a guide to future returns. So why do share prices go up and down? The price of a share is determined by supply and demand. Demand for a share is essentially the number of people who would like to buy, and supply is the number who want to sell. This will depend on what investors think about the future prospects of the company. Are things set to improve or get worse? If the outlook is improving, more people might want to buy the shares and the share price might increase. However if a company’s prospects are less rosy, people might look to sell shares, causing the price to fall. What makes share prices move? The national or global economy. For example, an increase in consumer confidence can lead to extra spending, raising the prospects for future profitability. A mining company, for example, is open to changes in the price of the commodity it mines. If the company is doing better or worse than its competitors, this can serve to support or depress the share price. For instance, if Sainsbury’s is struggling, this could mean shoppers are going elsewhere, so Tesco could be in line to benefit. These could include management, strategy changes or speculation. This means it is important to keep up to date with current news on the companies whose shares you own. To help, Hargreaves Lansdown offer research and comment on around 100 of the most widely-held shares in the UK. Sign up to receive market updates and our experts' latest research direct to your inbox. 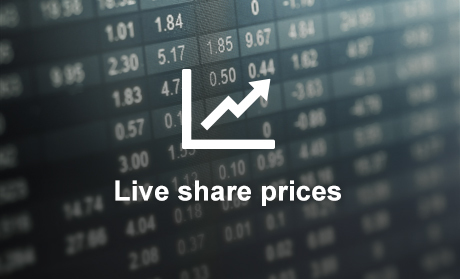 In this example, you can buy the shares for 4,977p each and sell them for 4,976p each. This small difference is because trades are usually placed through a ‘market maker’ – an organisation which is always ready to buy or sell shares at a publically quoted price, ensuring that you can buy and sell your shares easily. The number on the right of the prices is the daily movement. This shows that, since the last time the market opened, the share has fallen in price by 13.0p, a decline of 0.26%. 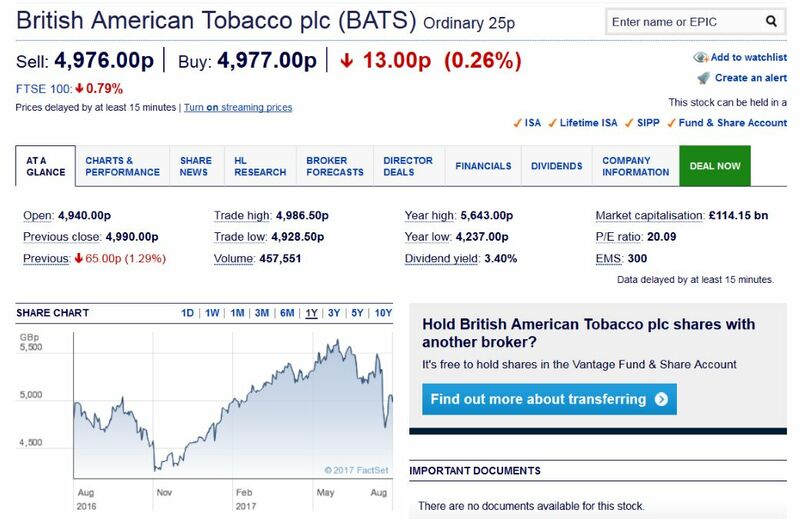 The graph underneath the prices, charts the share price over the previous 12 months. Shares are traded very frequently, and on most business days the UK stock market is open for trading between 8am and 4.30pm. During this time, the price of a company’s shares will move up or down depending on market conditions. All share prices and performance charts are free to view on the Hargreaves Lansdown website. Watch our share charting video below, to understand how these charts can be used to look at a particular share’s performance. 5. How can I buy shares? While shares are most frequently traded on the stock exchange, the first opportunity investors get to buy shares is when they are first created. When shares in a company are issued for the first time, the ownership of the company, which may have been family owned or in private hands, is split into shares. These shares are then offered for sale to the public. If this is happening for the first time, it is called an ‘Initial Public Offering’ (IPO), which is also known as ‘floating’ or ‘listing’ on the stock market. Once the shares have been issued, anyone can buy and sell them. There are many reasons why companies do this. It could be to raise money to fund future investments or so that an early investor can withdraw some of their money. Shares are issued at the start of a PLC’s life, though further shares might be issued later to raise more money. Once a company has created shares, they can be bought and sold via the stock exchange. Because buying and selling shares in this way comes after the IPO stage, it is known as the secondary market. When you buy shares on the secondary market, you do so by using the services of a stockbroker. The vast majority of accounts are held online offering a range of ways to deal shares. A common misconception is that you have to have a large sum to start investing. While investing a lump sum is certainly possible, you can also regularly invest smaller sums, known as regular savings. You can open a Hargreaves Lansdown account with as little as £25 each month through a regular savings plan. Not only is this an affordable route into building an investment portfolio, but it can help to reduce risk. By investing little and often, you have the potential to smooth out market fluctuations, as investing monthly can ‘average-out’ the price paid for shares. This means the share price going up and down can actually benefit you as you could end up purchasing more shares, but conversely it should be remembered that if the share price rises and never looks back, fewer shares are purchased via regular savings and investors could have been better served by investing a lump sum. Use our regular savings calculator to see what your investments could be worth. Lump sum investing doesn’t have to involve a six-figure amount. 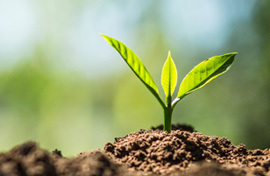 When investing in funds, Hargreaves Lansdown accounts have a minimum starting lump sum of just £100, and there is no set minimum for investing in shares. Now you’re clear on what shares are, how markets change, your options and how to get going, you’ll need to set up an account if you want to start investing. You can find out which Hargreaves Lansdown Vantage account is best for you below. Our award-winning service is designed to be simple and easy to use, and it puts you in control of how much you want to invest, where. You can open any account with a lump sum using a debit card or by starting a monthly direct debit. Our Fund & Share Account is flexible and has no investment limits to allow you to access your money at any time. Our Stocks & Shares ISA allows you to shelter up to £20,000 from tax this tax year, as well as being easy to manage. Unsure which shares to buy? 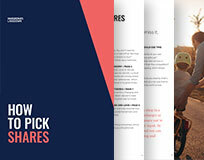 For some ideas on how to pick which shares to invest in, check out our guide to selecting shares or for more information on getting started with investing generally, you can read our Guide to Investing.